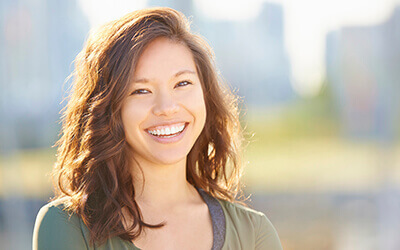 Periodontal (gum) disease effects millions of adults in the US each year, and is the leading cause of tooth loss among patients over the age of 30. At Tomoko Dental Associates, we include periodontal charting to track the depth of the pockets between teeth and gums each year. Increased pocket depth is often the earliest warning sign of periodontal disease. In most cases, we’re able to help patients improve their at-home oral hygiene routines and increase the number of annual professional cleanings in order to restore smile health. However, if periodontal disease advances, we may need to use more complex periodontal therapy treatments. Contact our team to find out more or schedule an appointment today. Gum disease occurs when plaque and tartar buildup at the gum line irritates, damages, or destroys gum tissue. In the early stages, gum disease typically causes mild irritation and bleeding gums, but left untreated, gum disease can lead to serious oral health issues including chronic bad breath (halitosis), infection, and tooth loss. In order to reverse the damage caused by advanced gum disease, we typically recommend a combination of scaling and root planing. 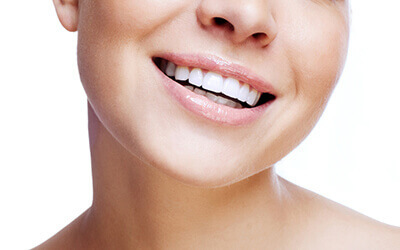 Scaling is the systematic removal of plaque, tartar, and damaged tissue below the gum line. Root planing is the smoothing of tooth roots to prevent future buildup and decrease the risk for reinfection. Following the procedure, gum tissue is reattached and patients will need to use a special mouth rinse to protect the treated area and promote healing. Bacteria in the mouth are natural, but like any living organism, bacteria produce waste. The sticky, acidic byproduct of bacteria is known as plaque, and the buildup of plaque may lead to gum disease. Thus, one way to reduce risk for periodontal disease is to control the amount of bacteria in the mouth. For this reason, we may recommend the application of topical antibiotics to destroy bacteria. We use Arestin which is applied to the affected area and releases a continued dose of antibiotic over the course of several days or weeks. Studies show that using electric toothbrushes improves oral health and the Sonicare line provides especially effective results. Using a Sonicare electric toothbrush, is proven to remove six times more plaque than a traditional toothbrush. As gum disease is caused by plaque buildup at the gum line, reducing the amount of plaque also reduces patients’ risk for periodontal disease. If you’re interested in finding out more about Sonicare, ask your hygienist next time you’re in the office, or give us a call today.